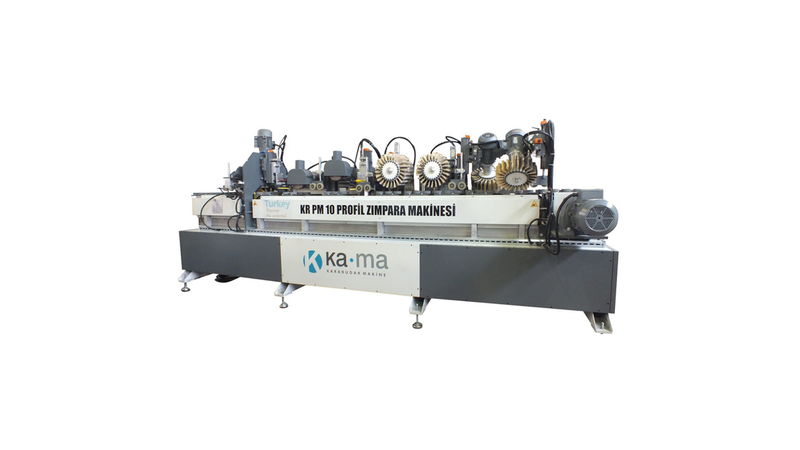 KR PM 8 Profile Sanding Machine is a new generation full automatic machine which is designed and developed for sanding door cases, trims, baseboards and all types of profiles raw or primed. All units are PLC controlled and movable. This features prevent both edge rounding of the heading & end of the profiles and paint removal. * Height (thickness) adjustment is made automatically. * Width adjustment is made via touch panel by entering the width of the product.